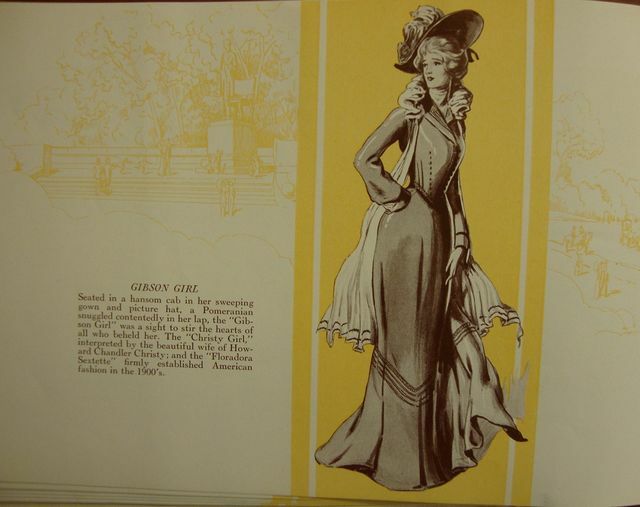 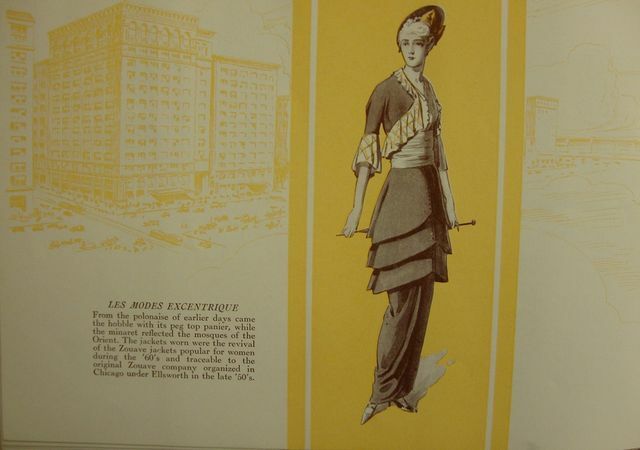 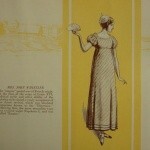 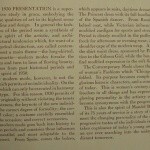 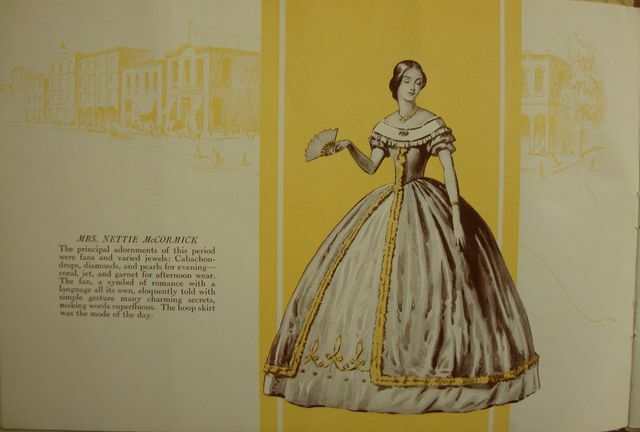 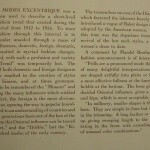 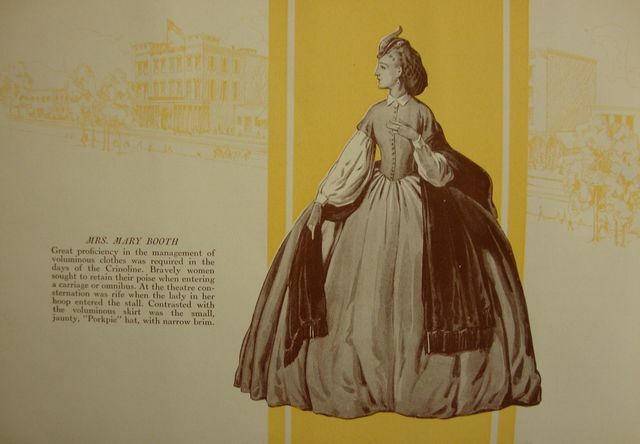 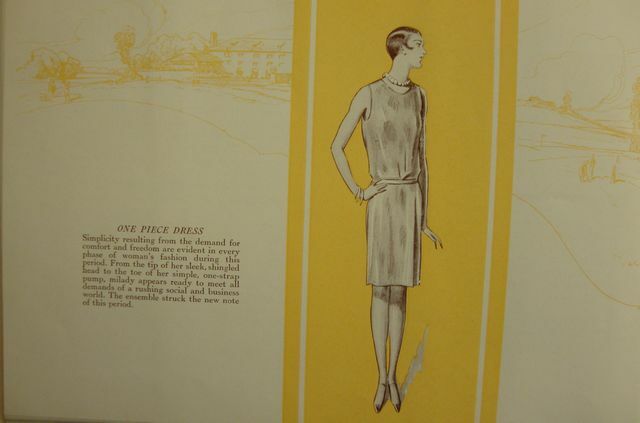 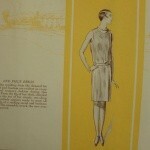 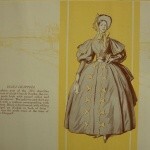 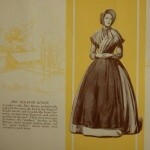 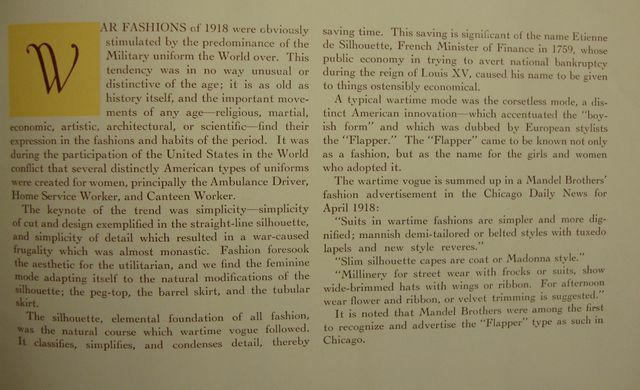 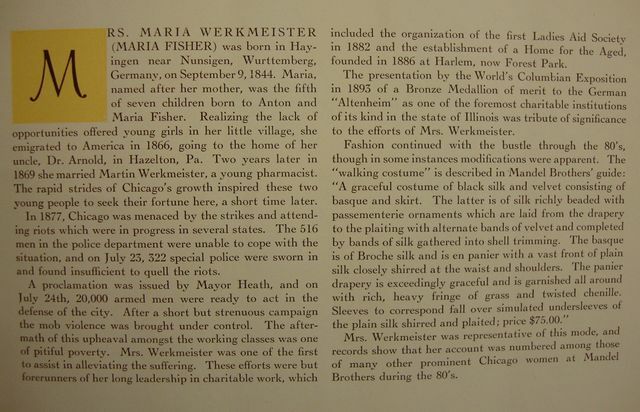 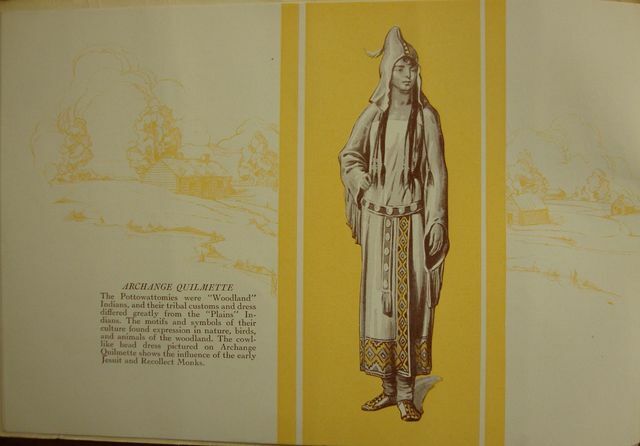 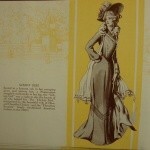 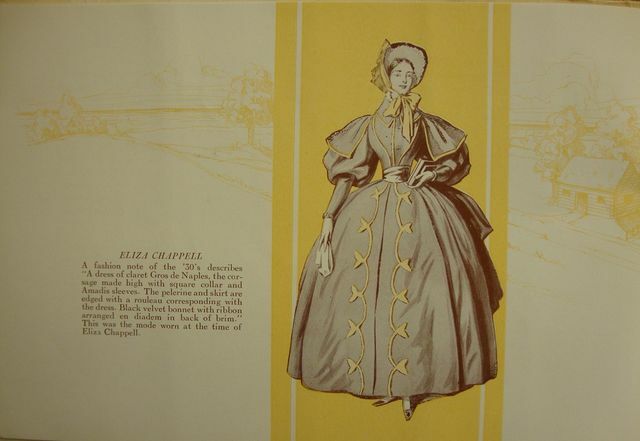 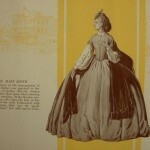 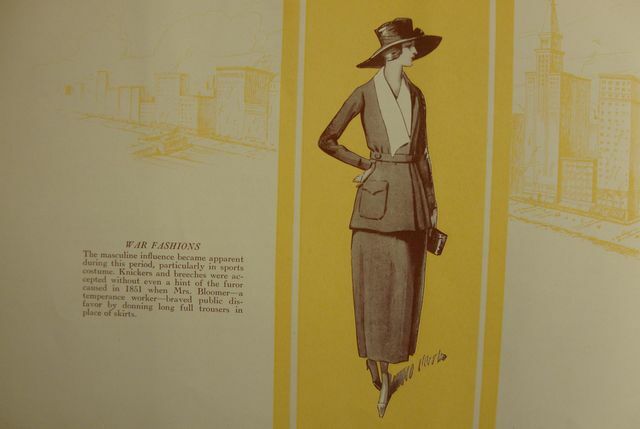 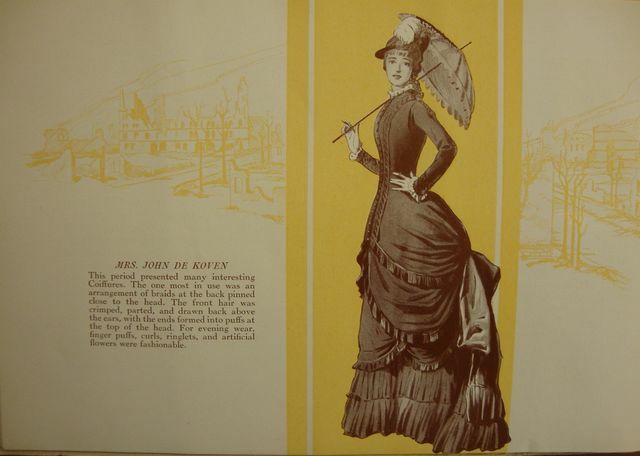 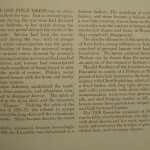 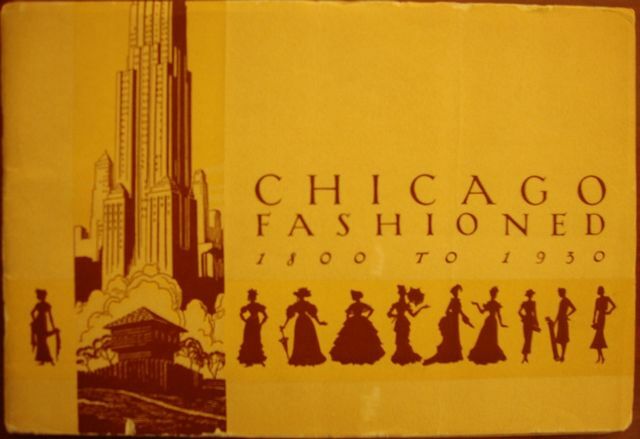 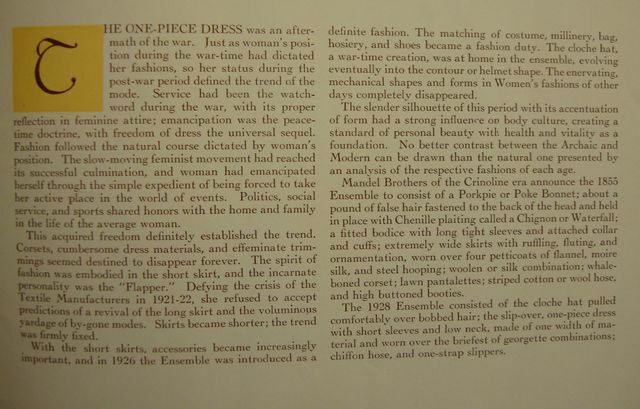 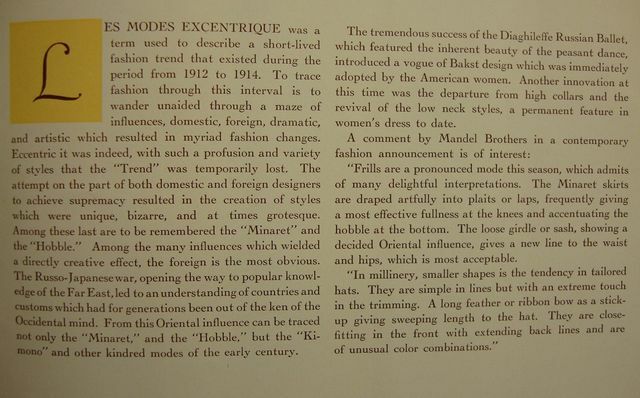 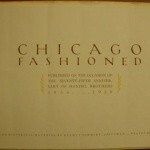 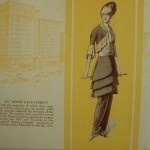 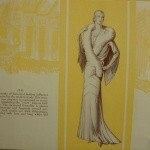 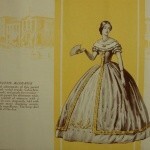 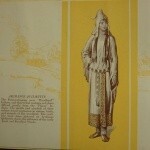 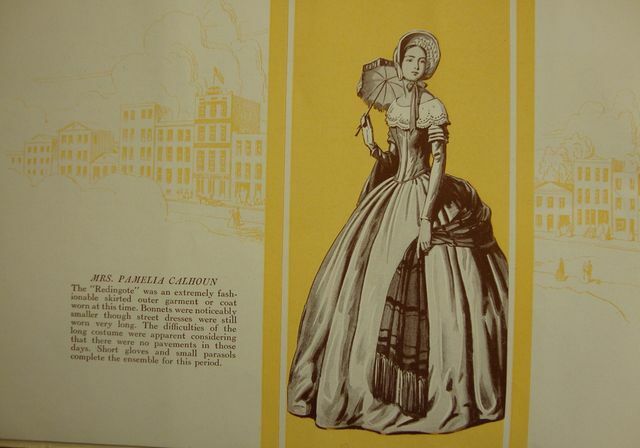 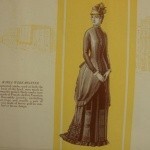 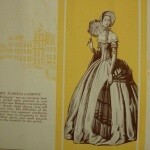 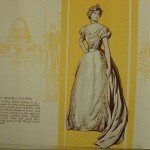 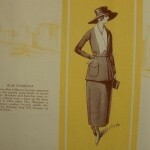 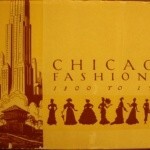 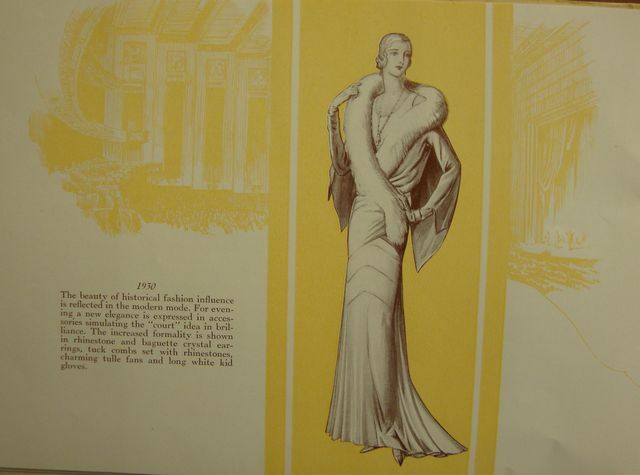 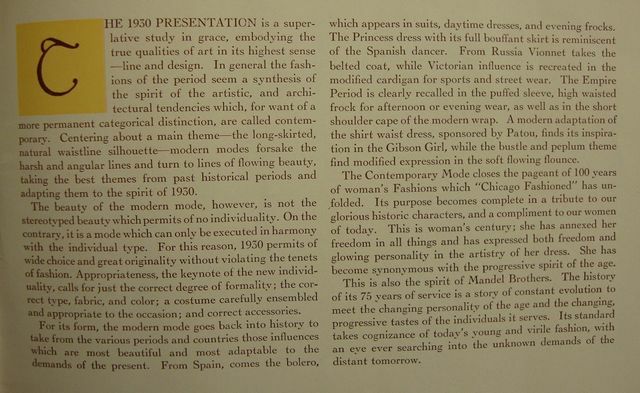 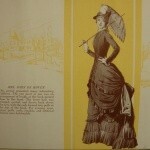 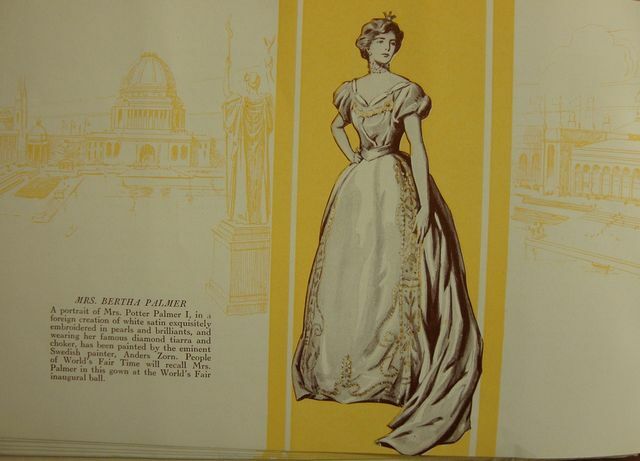 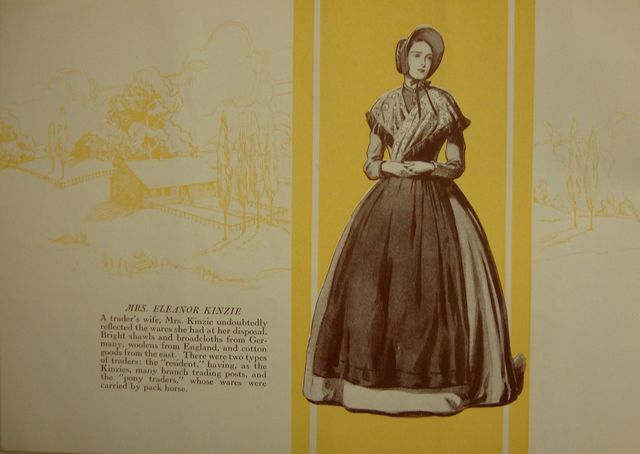 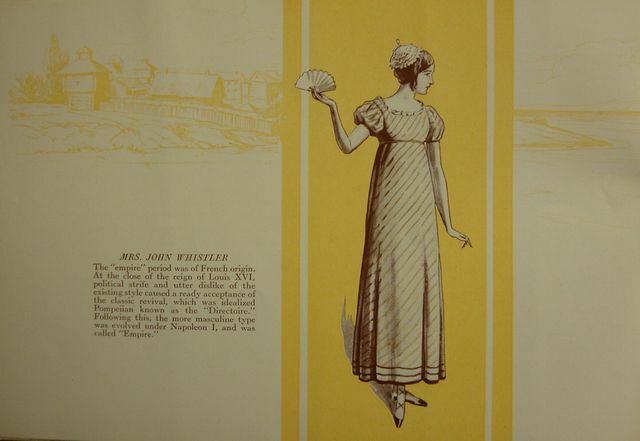 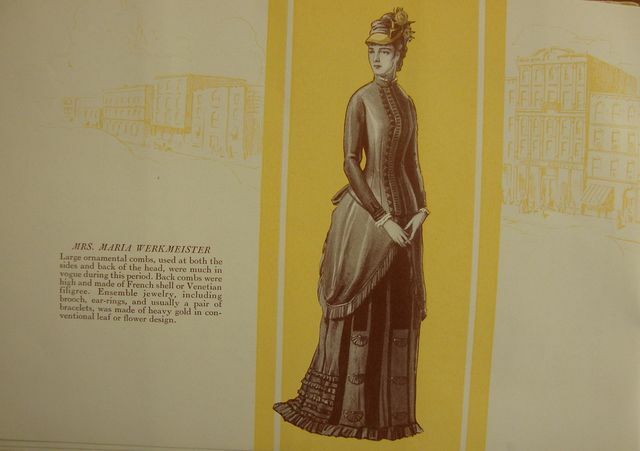 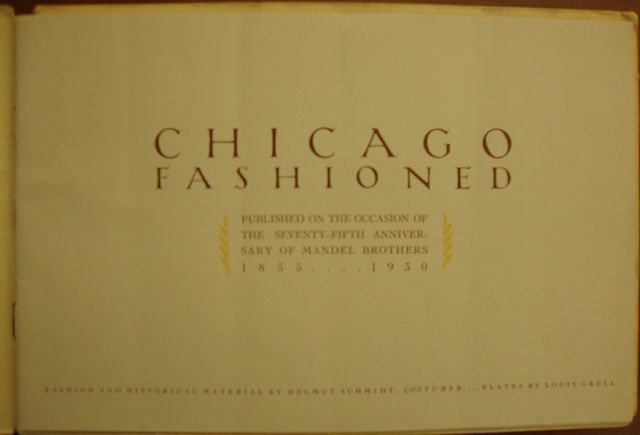 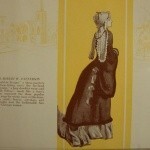 In 1930, Mandel Brothers published this catalog depicting famous Chicago woman in elegant gowns from 1800 through 1930. 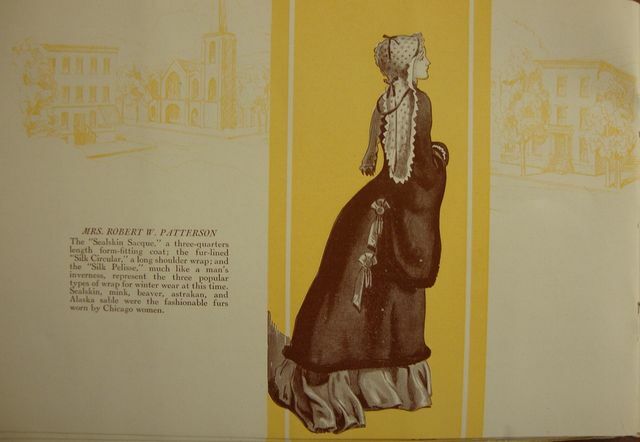 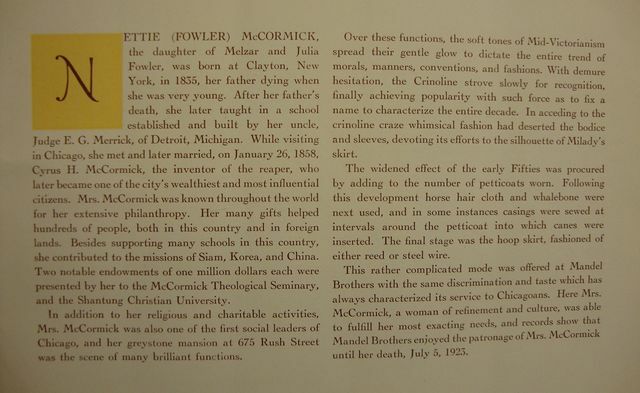 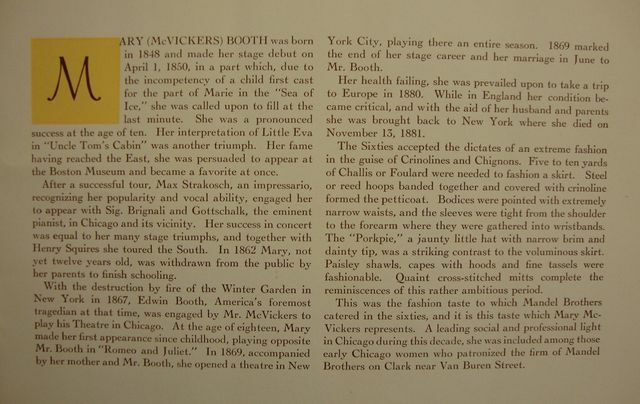 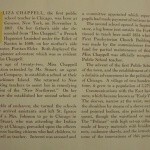 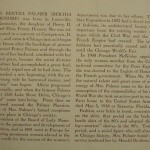 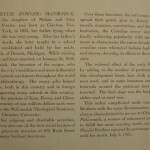 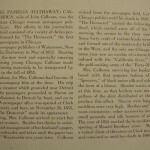 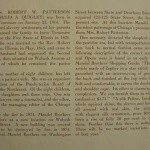 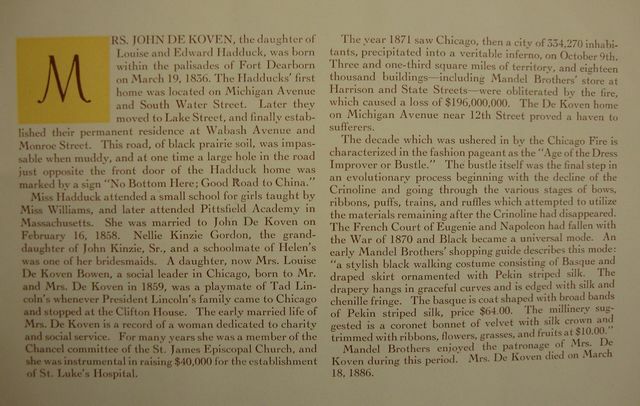 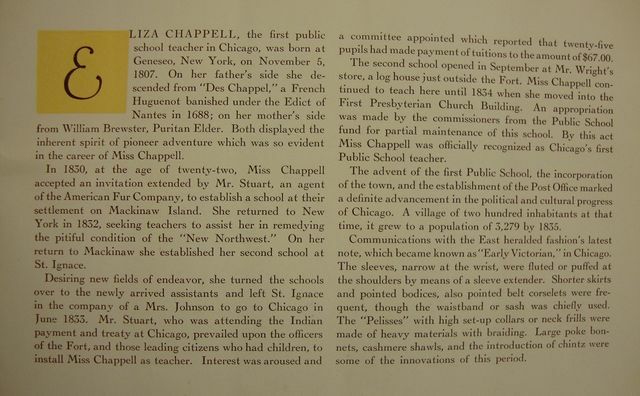 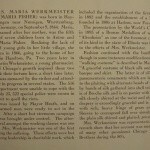 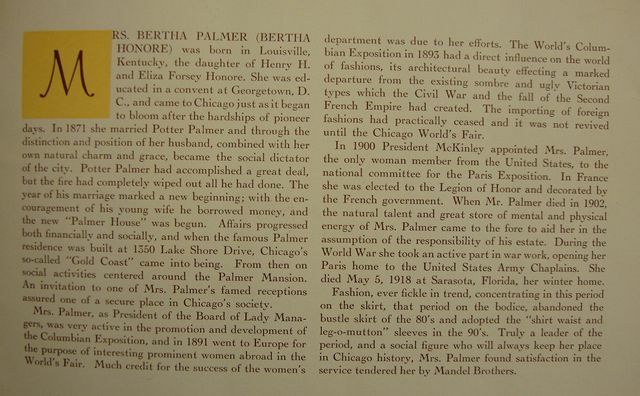 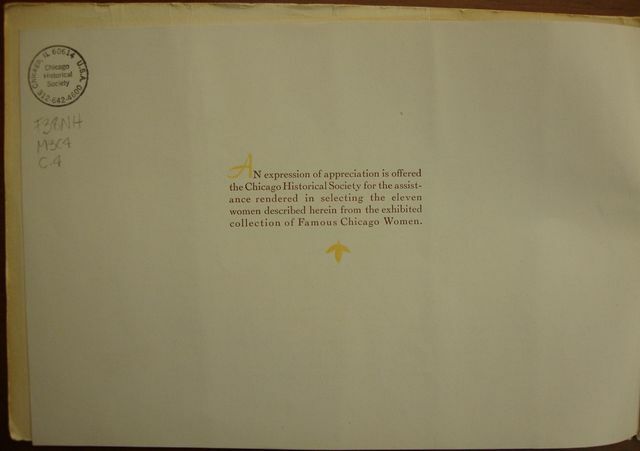 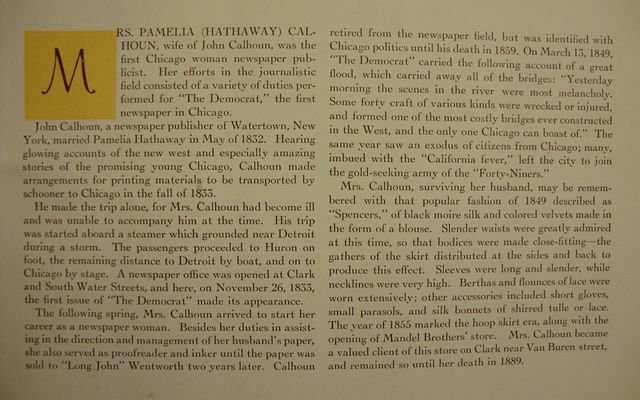 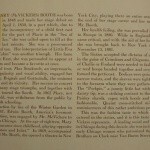 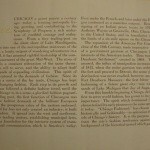 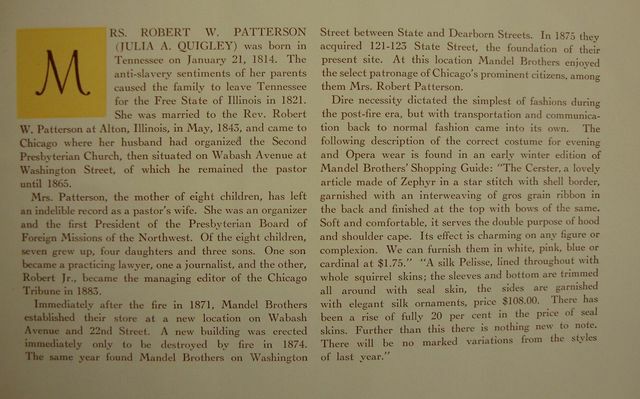 Sixteen famous Chicago ladies are featured. 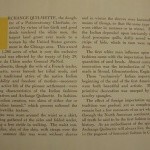 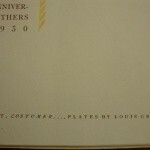 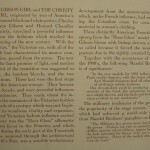 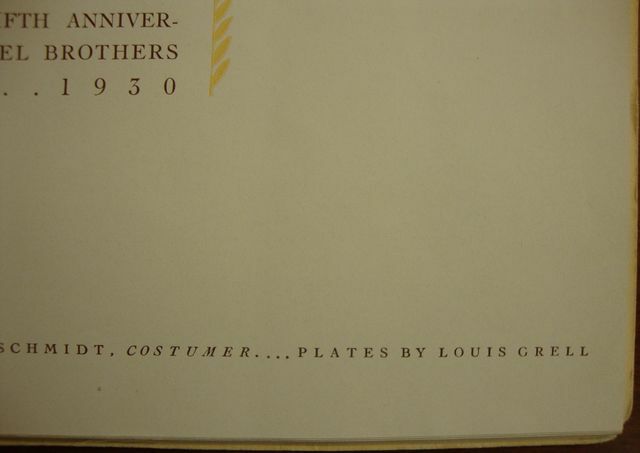 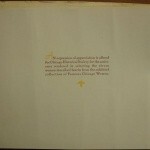 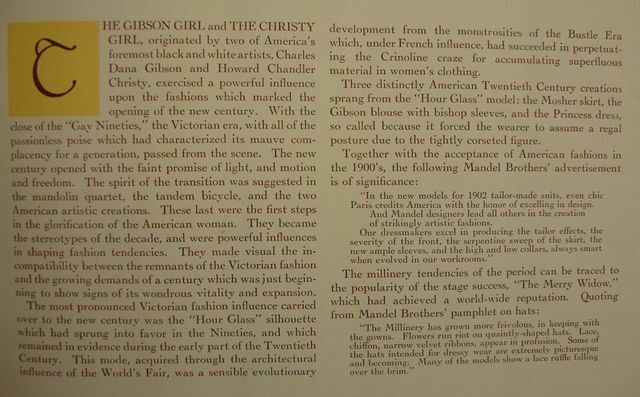 The plates were designed by Louis Grell. 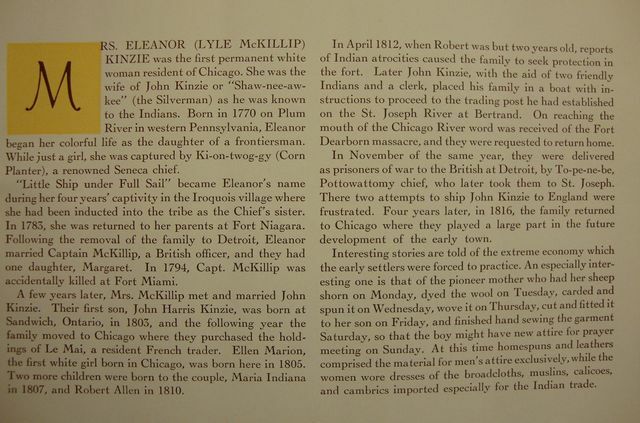 Included are Eleanor and John Kinzie. 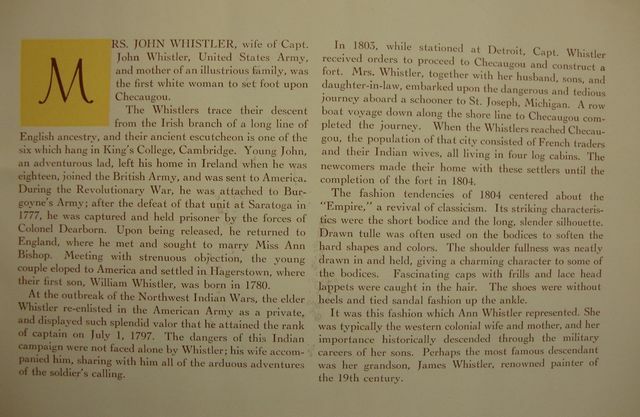 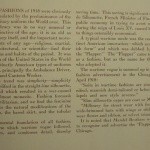 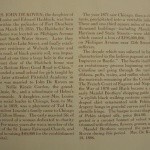 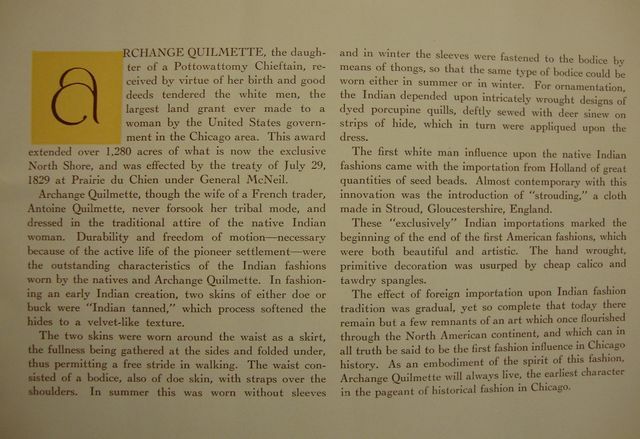 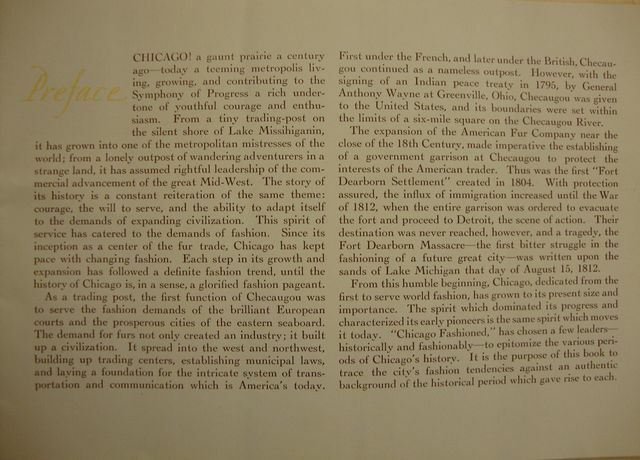 They were not only early Chicago pioneers; they were the first white people to visit Lake Geneva, Wisconsin. 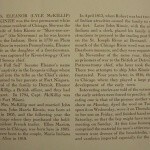 In 1939 and 1940 Louis Grell was commissioned by the Northwestern Naval & Military Academy in Lake Geneva to execute two large murals, both measuring 6 feet tall by 30 feet long, depicting scenes of the Pottowattomy Indians encounter with the Eleanor and John Kinzie party in 1841. 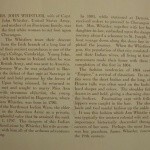 The two historically significant murals can be viewed under the “Murals” heading by clicking on Northwestern Naval & Military Academy.